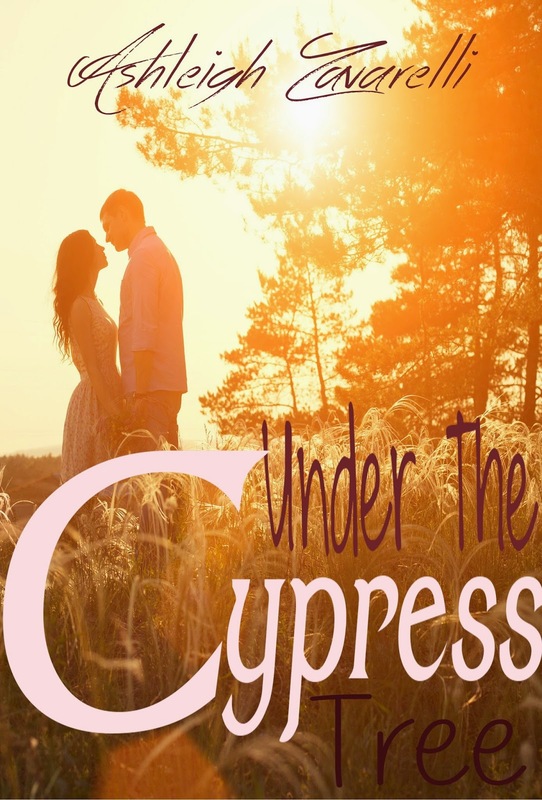 Today we are interviewing Ashleigh Zavarelli, author of the contemporary romance novella Under the Cypress Tree. I am a Montana Native currently living in South Australia. I freelance as a Ghost Writer in my spare time, and spend most of my days reading and writing with a cat somewhere nearby. When I’m not doing that I like to travel and explore new places. What do you like most about writing contemporary romance? I like writing contemporary romance because I feel like it gives the reader that sense of being fully immersed into the story. A place or a situation that they can imagine themselves in, and a feeling of… hey that could happen to me. Who do you think would most appreciate your novella? Anyone who likes romantic stories with a happy ending. People who enjoy characters who are a little different from the norm. In this story, I would have to go with Archer. He was just a guy who got himself into a tough situation and did the best he could to survive, ultimately hurting some people along the way. I sympathized with him, but at the same time fell for his charm and easy going demeanor. I think one of the biggest obstacles for me was learning to let characters have their flaws and own them. I am sometimes afraid and think, oh this one is too deeply flawed and people aren’t going to like him or her. But now, I just roll with it and stay true to the characters and the story that they have to tell. Well speaking from a Kindle addict’s perspective, I’m all for it. I love how easily accessible books have become, and even better the opportunity for Indie Authors to get their work out into the world. I am continually learning and growing as a writer, and I hope I will continue to do so in order to be the best that I can be. I’d like to publish all of the works in progress that I have going at the moment, and to bring readers characters that they will love and remember for years to come. I am currently working on Roxy and Bentley’s story for the second Novella in this same series. After that, I plan to finish a story that I’ve been working on that’s a darker, grittier read. Just that it’s free on Kindle Unlimited right now, and $.99 to purchase. I hope they will give it a read, and leave me some feedback when they do. When Archer blew out of town six years ago, he took Annabeth Richard’s heart with him. With a head full of hope and promises, she waited for his return. But when he didn’t, Annabeth was left to pick up the pieces without him. Archer Beaufait signed up for the Army fresh on the heels of Graduation. He wanted to make something of himself, but he never expected to be going to war. He’d made his fair share of mistakes, but after six long years, he realized it was time to come home. The only problem was, the life he’d left behind and the people he hurt weren’t real eager to see him return. Especially not Annabeth Richards. When the two meet again, old wounds are brought to the surface along with some feelings that never quite went away. But when secrets start coming out of the woodworks, and they realize that time has changed them both, it’s one obstacle they aren’t certain they can overcome.